If you think of Finland, what comes to mind? Tall, beautiful, blonde people drinking vodka and keeping warm by the fire? Sounds pretty good to me! It’s also a nation of gamers and this doesn’t necessarily mean the online type; sure, they’ve taken to the technological boom with alacrity, but the Finns’ penchant for playing has been around for a while. Slot machines, for example, are all the rage in Finland. 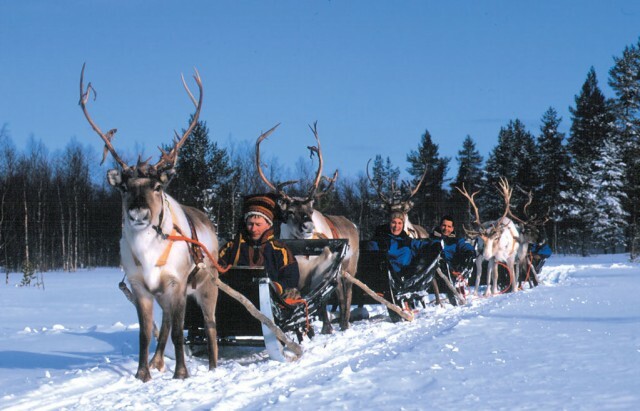 If you were fortunate enough to spend your youth in the frosted vistas of Northern Europe, you would often find yourself surrounded by them; they’re everywhere, from shopping malls to reindeer stables. Upon the advent of smartphones, the gamble-happy Finns quickly took to online slots and casinos as well, and these days, the country is a happy blend of real life and virtual gambling. It might not be Vegas, but if you love gambling and don’t want it served with a side of trashy American culture, it might be just the destination for you! Finland has pretty relaxed gambling restrictions, so as long as you’re at least eighteen you can play slot games and enter the local casinos freely. This is good news for gamblers and quite different to how gambling laws are applied in other Scandinavian countries. One would find it exceptionally difficult to gamble in Norway for instance, as it is, in large part, outlawed. But not so with the Finns. In fact, it’s been around for some time. The first slot machines in Finland were called Bajazzo; they were imported from Germany in the 1920s. The idea was to put in a coin and then fling it with your finger (strength and timing were absolutely key!). If the coin happened to land inside a gate, you would win the amount of money marked on that spot. It was a big hit with the natives; even today you can still see it being played, though mostly as revamped electronic versions, as opposed to the old mechanical method. Can you see the seeds being sown that would flourish into a strong gaming community? Slot machines were still a long way off though. These bad boys weren’t seen in Finland until the 1960s, when they first came to local cruise ships. The usual jackpot would be from 20 to 200 Markka, the currency in use at the time. Over time, the slot machines gradually invaded restaurants, bars and amusement parks. The first electronic slot game to hit Finland was created by RAY in 1980; following that success, in 1991 they established the first Finnish casino, now known as Helsinki Casino. When it came to virtual gambling however, the Finns had a little catching up to do. RAY created the first Finnish online casino in 2010, almost twenty years after the first online casinos started emerging in other parts of the world. If you want to learn more about Finnish slot machines (especially the old ones) check them here. Despite their first steps to online casinos being so late, Finns are nowadays one of the most diligent and successful gamblers online, thanks to their lifelong co-existence with slot machines and other casino games. For travelling gamblers, Finland is perfect location; a beautiful, unique country with a rich history of gambling and gaming, equally embracing of modern technology.